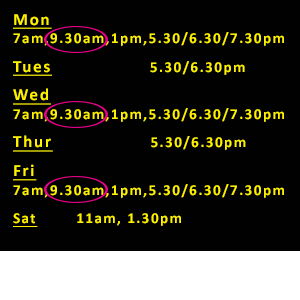 The Underground fitness system holds classes at 9.30am during the week, especially scheduled to be available to mothers after doing a school drop. 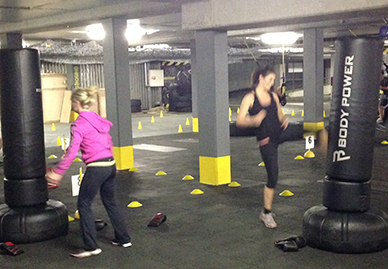 We have a friendly group atmosphere in the morning thats mixes well with challengiing and effective training. As members of the Underground Fitness Club you have access to all the classes, as well as council on how to prepare family meals with your own nutrtional plan in mind. The mornings after class are a great time to discuss fitness and ask any questions you may have, and you can also go online to our blog and find a wealth of fantastic information on your goals. Our programs are suitable for women who really want to tone up. This causes an increased metabolism so when you lose the weight you are much likely to keep it off! That is the key difference with our training style compared to other fitness classes or regular cardio: we support muscle! Muscle controls your metabolism, and that is why when alot of women lose weight, they do not have a toned appearance and they put all the weight back on. They need to improve their metabolism. The Underground is as much a long term solution as it is a short term plan for weight loss, you can lose it here, but we want you to keep it off!